Jennifer has some great NYC tips! And Lenore, I'd say you and I count as adults yes? I'm looking forward to reading these and seeing the reality tv part come into play in the third book! And great observation of packs of 3! You've been awarded the Sisterhood Award. Stop by my blog for the details! Hey, always good to get your perspective, Miss Lenore. Great interview! 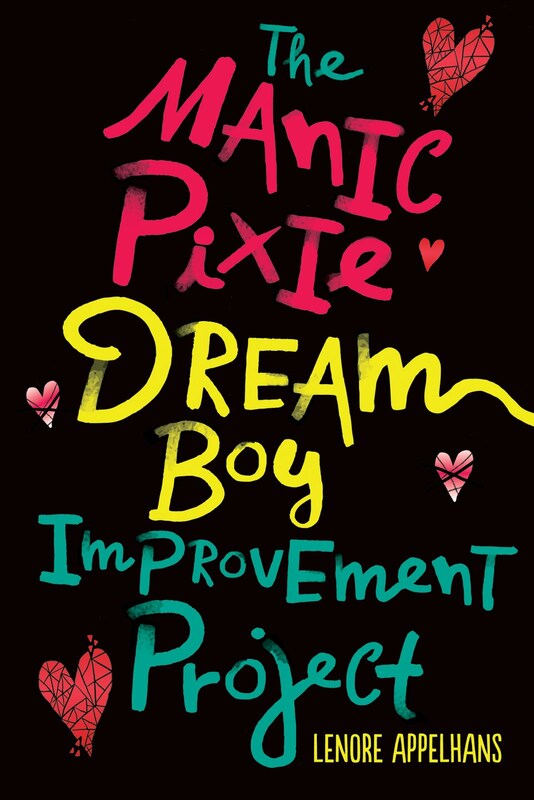 The books sound fun and right up the tweens/teens alley!! I don't know the first thing about all that makeup but I'm sure there are people out there that could do the smell thing!! Great interview. I hope the author does end up finishing her vampire book. For me, vampires never grow too old and it sounds like a different twist than Twilight. You were right - the interview is totally worth reading! Alea - I guess we are adults aren't we? :) And yes, I think book 3 sounds like it is going to be really fun. Love the color on the cover too. I am sucker for pretty shades of green. Kelly and Beth - Thank you both. Your kind and enthusiastic support of my blog has kept me going strong. Staci - I could understand being able to identify a perfume by scent (though I can't do it), but tanning oil? I'm not that into the current vampire romances, but I think Bitten sounds great because there are twins and they go to Romania! Iryna - Wasn't it? Happy Saturday to you too! Lenore- I agree, the third one is beautiful, it's my favorite! Bitten does sound awesome, I agree! "of Gossip Girl, The A-List, The Clique, or any other teen books about the fabulous lives of the rich and snobby." I didn't have the slightest interest in these lifestyles or books when I was a teen and don't as adult. That said, I do get the appeal. I like the cover of _In Too Deep_. Since my primary concern is that our readers are reading, I'd put these on our wish list if I thought our girls would read them. I think there might be a cultural divide with these though. There are some titles that are huge hits in the mainstream that don't even register on the radar in our library. _The Gossip Girls_ haven't moved at all. I failed to say though, Lenore, I think you do a wonderful job of publishing articles that match the tastes of your readership. You give your readers what they want. Kudos. Nice interview. I have In Too Deep but I need to read it still. 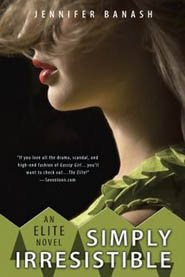 I did like The Elite though, even though I've never read The clique or anything either. I really want to read Bitten. It does sound good and different, so that's nice. Ohh I wish I had these tips when I went to NYC. Next time. Next time. An author recommending buying ARCs at a bookstore, is something I never thought I'd see! These look like such awesome guilty pleasures. Also, I wish I were one of those people who could tell cosmetics products just by looking at them, but that's pretty hard. I don't know anyone who can!!! Susan - That's an interesting point you make. I've been asked to donate some of my YA books to a charity that distributes them to youth programs in Africa and I had to wonder if they really want to be reading bleak dystopias or books about teens living the high life. Lauren - They are great tips, aren't they? I am so excited about my trip to NYC! Ali - I guess The Strand is known for its ARCs, not sure what most authors think about that, but apparently Jennifer is ok with it. I've never read her books before, perhaps I'll have to check them out! I REALLY need to start reading these books! The covers are sooo pretty too! Great NYC tips..I LOVE Serendipity 3..mmm..frozen hot chocolate. But sadly, I have never been to the strand! I am definitely checking out the frozen hot chocolate once I visit NYC! Ahh, I really want to read The Elite and In Too Deep, they've been on my wishlist for a long time.. I love make up too and love Sephora. I would definitely shop there more often if only I had the money! Sephora items are a bit pricey.. I never noticed the three thing until now! Very observant! I love the NY tips! nyc sounds fabulous, let us know if you went to milk and honey!! ooh let us know everything. i've read a couple of gossip girls, but not my kind of reading, don't know if peterfreund's ivy league series would be in the same genre but i really liked them and would seriously suggest them!